The venue was declared to be too small and "not fit for purpose". The AECC is to be moved to a new site at Dyce as part of plans to overhaul the venue. A property development company has been given the contract as for the new multi-million pound Aberdeen Exhibition and Conference Centre. Henry Boot Developments will build a complex with bigger venues, a four star hotel and car parking facilities. The AECC contributes around £50m every year to the local economy, but the council ruled the exisiting facility was "no longer fit for purpose", with energy and building maintenance costs rising. Councillors also felt it was too small to hold some exhibitions, concerts and conferences held there. Council leader Barney Crockett said: “The AECC makes a crucial contribution to the economy of Aberdeen and the broader city region. It has become clear in recent years that the existing facility is no longer fit for purpose or big enough to accommodate some of the larger shows and events. “We must ensure Aberdeen continues to attract large and popular events, like Offshore Europe, to the city. 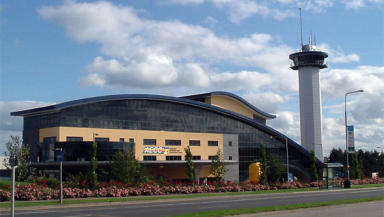 Securing a top-class exhibition centre is essential if we are to succeed in that. Aberdeen City Council will enter into a 35 year lease of the newly completed facility, after which it will be entitled to purchase the AECC development, including the land, for £1. The proposed multi-use arena will aim to be the most sustainable building of its type in the UK.